Thousands of travelers on some of the largest U.S. airlines endured long waits Monday morning, as their flights were delayed due to a contractor's computer problem. The technical issue forced Southwest Airlines, which had some of the biggest issues, to shut down all U.S. flights for about 40 minutes Monday. "As of 9 a.m. Eastern Time, more than 600 Southwest flights today had been delayed," NPR's David Schaper reports. "United says about 150 flights with its regional carriers were affected; American and Delta also say a couple dozen flights on its regional carriers were affected." "Several U.S. airlines are experiencing computer issues this morning," the Federal Aviation Administration said on Twitter, asking passengers to check on their flights' status with their airlines. 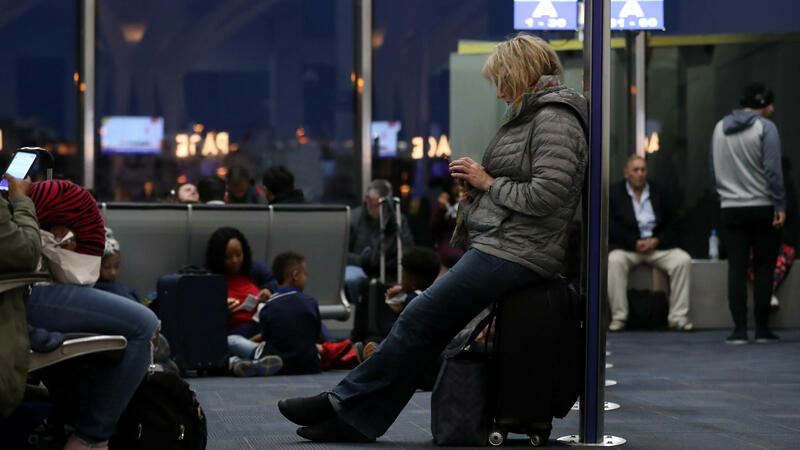 The agency reminded readers — some of them, no doubt, frustrated passengers whose planes had not taken off — that it does not control flight cancellations.